Hello Hot Sauce Nation! SirOrin here with the final Post-E3 Hot Sauce Off the Presses! I did it! Are you proud? We operate on a two week cycle here so technically I'm not late! You see that Mount Doom? You can go there. And everywhere in between too! This stream was all about Zelda. That's not actually true, after an incredible opening trailer (and name reveal) for The Legend of Zelda: Breath of the Wild, they spent a while talking about Pokemon. I might as well go ahead and get this out of the way. Pokemon Sun and Moon opened the stream for the first hour and I was bored out of my mind. Between the fact that they were focusing on the new pokemon in the game (which I refuse to acknowledge, Gen 1 for life), and I was so excited to see more on Zelda I could not wait for it to be over. I blame the blue seal with a clown frock around it's neck. Go ask Azza if there was anything meaningful because I erased it from my memory. I'm sorry, I'm a bad news editor! When Zelda finally came out it was beautiful. The art style is a blend between the cell shading of Wind Waker and the paintbrush look from Skyward Sword. Although this isn't technically the first time we have seen a Zelda in HD, it is the first game designed for a modern Nintendo console in HD and it shows. It appears that this is going to be a truly open world 3D Zelda entry. The demo they showed started with what is likely the opening moments and zone in the game. Several times they showed the map and the land mass in enourmous. There are also multiple "mini" dungeons scattered across the map that require some small puzzle solving to collect an item. They didn't show any full sized dungeons but did confirm they would be in the game. The game also is riddled with systems. Stamina, stealth, body temperature, durability, cooking, the list goes on and on. The most game-changing system to me was the stamina/grip that allowed Link to climb to almost anywhere he could reach. In an open world game this will be a huge navigation bonus. Also, the items and the way they interacted with the world with physics was very impressive. Link can sled down hills on his shield! All in all it is a huge change in direction from previous Zelda entries. My only possible concern is about whether all of these systems will have a meaningful impact on the gameplay or if they were just added in because other games use them. In particular, I got a very Monster Hunter vibe from some of the elements shown. Even so, I heard multiple people who were at the show say that the Zelda demo was the game of the show for them. There were a few other Nintendo games at the show (I heard there were some behind closed doors demos of the next Paper Mario) but Zelda far and away took center stage and for good reason. It was disappointing not to see any mention of the NX but they said it wouldn't be brought up well before E3. 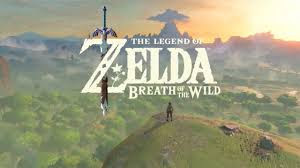 It is a weird transition time for Nintendo as they get ready for their next console but it looks like they will be ending the Wii U and starting the NX with a show stopper with The Legend of Zelda: Breath of the Wild! Be glad I like Zelda too. That is all. For now. Cool! I like to play Nintendo games. Unfortunately, this is an obsolete console. Place it, I installed myself a SNES Emulators download https://romsmania.com/emulators/super-nintendo that would at least somehow play something that I love. Super Mario, the most favorite game which I play in my free time.